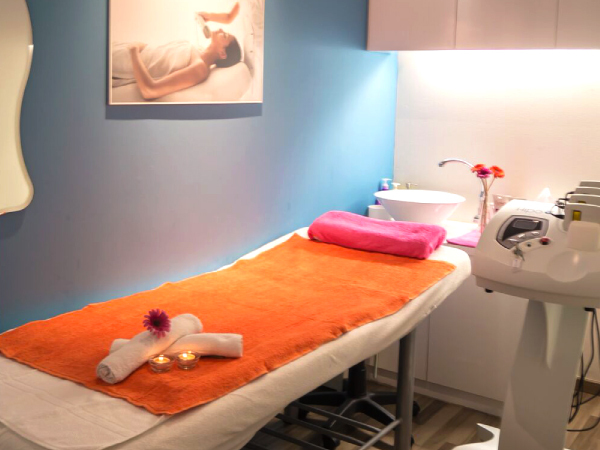 Using cutting-edge and revolutionary body shaping technologies from Europe, The Body Firm offers non-invasive and effective body treatments for women and men. Feel fit, toned, and lose those extra inches after just a few sessions*. The Body Firm’s state-of-the-art body shaping systems cater to all unique body types. No matter what your body shaping needs and wants are, we have the expertise to help you get the killer body you deserve*. Shape, tone and lose cellulite from four common problematic areas (stomach, thighs, buttocks and arms) with visible results after just a few sessions*. Lose inches, get in shape and become healthier without needing to spend long hours in the gym*. Improve posture and reduce back pain stemming from hours of sitting at your desk. What can a mere 25 minutes do for your body? Help you achieve an amazingly toned silhouette*! Using a unique square waveform technology that targets specific muscle groups, The Body Firm Toning System tones and shapes your body significantly faster. This high-tech body shaping system simulates conditions similar to doing exercises like weight-training and sit-ups. A 25-minute session is equivalent to a 4-hour workout at the gym, or doing about 400 sit-ups*. I-Lipo is a non-invasive and safe alternative to liposuction. A highly effective fat reduction and body shaping system, I-Lipo is an excellent option for those looking to achieve a slimmer and tighter body shape*. No pain, no needles, no downtime. The world’s most advanced radio frequency (RF) technology, Apollo Tripollar is an effective body shaping system that delivers long-term skin tightening and rejuvenation, body contouring, wrinkle reduction and stretch mark improvement*. This makes it popular with women who just gave birth, and want to regain their svelte pre-pregnancy body shape. *Disclaimer: Each individual’s treatment and/or results may vary from person to person depending upon many variables such as age, gender and lifestyle. Testimonials within this site are not intended as a guarantee as to outcomes.